Rowan is the successor to Carol Holden as Chief Executive for Northern Automotive Alliance. Rowan graduated from Trinity College Dublin in 2011 with a Bachelor of Science in Manufacturing Engineering with Management Science. Afterwards, he commenced full time employment with Jaguar Land Rover (JLR) on their Graduate Programme, working initially at Solihull plant in Birmingham. He commenced working on his first new model programme, Land Rover Discovery Sport, at Halewood plant in Liverpool within the Body In White (BIW) function working in both Project Engineering and Project Management roles. He was responsible for facility installation and assembly processes over the full 4 year delivery of this model. In 2015, Rowan carried out an international assignment at the CJLR Changshu Plant in China. He was responsible for leading a team to deliver the BIW body complete quality, as well as the BIW Closures, throughout the launch of the Jaguar XFL – the first Jaguar car to be built outside of the U.K. In his last role before joining the NAA, Rowan worked in the Manufacturing Business Office at JLR acting as a Programme Manager and Project Sponsor for major infrastructure projects, such as the new 6-Op AIDA Press Line at Halewood Plant. 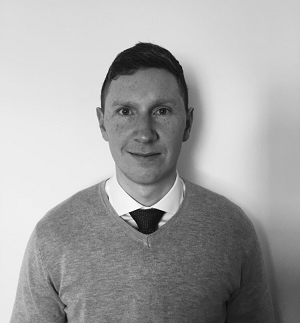 Rowan is a chartered engineer with the Institution of Mechanical Engineers and a member of the Association of Project Managers. 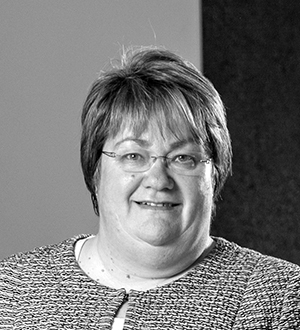 Between 2010 and 2018 Carol was the Chief Executive for Northern Automotive Alliance. She has now stepped down from that role and will continue to work for NAA as a technical specialist primarily on R&D projects and enterprise wide new product development and launch implementation. Carol commenced work in the truck industry as a Leyland Truck & Bus student apprentice. She graduated from the University of Bath with a degree in Mechanical Engineering and returned to Leyland Vehicles to a permanent position in Test Operations in the power-train group for 5 years before leaving and joining Eaton Corporation, Truck Components Division. Carol was with Eaton for 25 years in an assortment of roles, from Project Engineering, Project Management, Chief Engineer and finally as European Engineering Manager where she had a broad range of management as well as technical responsibilities in the development of Truck Transmissions, including the formation of a European Hybrid Team. During this time she also obtained her MBA from University of Manchester. She is a Fellow of the Institution of Mechanical Engineers and was awarded an OBE in the 2014 New Year Honours list for her services to the Automotive Industry. Throughout her working life she has been committed to supporting the training and development of engineers and especially encouraging and mentoring women into engineering and the automotive industry. 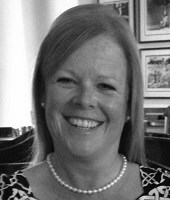 Carol’s expertise is varied and covers; new product introduction, project management, engineering management, business leadership and organisational change and development. Zoe is the Contracts Manager responsible for compiling and submitting reports and claims pertaining to finance and activity to the relevant organisations, as required by the funding body. Zoe worked as a Contract Administrator for AMEC and Morgan Est for some 14 years before joining the NAA in April 2009. Martina joined the NAA in July 2013 as Project Support for the AMSCI STRIVE and TSB CYD Projects. Now as Project Manager, she is responsible for these projects, together with the ERDF Business Excellence Project. Martina is new to automotive but not to project management, having spent the previous 15 years as a project manager within the education sector, managing externally funded projects on behalf of Schools, Education Business Partnerships and Local Authorities. After graduating from Kingston University with a BA Hons in Economics and statistics, Martina worked in insurance sales for six years and ran her own company before becoming a secondary school teacher. Her years in sales and teaching taught her that the customer really is king and she prides herself on developing strong working relationships and providing a first class service to all of the NAA’s customers and partners.